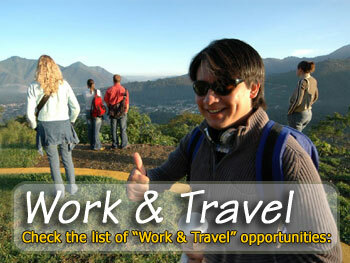 By participating in this programme you will earn money, gain work experience and enjoy Spain. We cooperate with big famous hotel chains and small family hotels which offer great opportunities to train in hospitality sector. They offer genuine teamwork and camaraderie, and an inviting environment that makes your stay during internship useful and unforgettable. The internship program in Spain is ideal for students wishing to gain hospitality experience in 3-5* hotels abroad. The program gives the unique chance to change your life for several months, gain international work skills, improve your Spanish and English and enjoy sun & sea! Our job vacancies are located mainly in Ibiza, Mallorca, Lanzarote, Alicante. The practical training programme in 4-5 star hotels and country houses in Portugal is designed for stays between 2 and 6 months. Participants improve their linguistic skills and level of communication, as well as gaining a deeper understanding of the Portuguese labour market. The programme is designed for participants from countries throughout the world. Gain work experience and earn money while enjoying what Greece has to offer. Paid work and travel placements are available in the hospitality industry, and there is no extra charge for accommodation. Meals are also provided. This programme is designed all EU citizens till 29 years old (students and non-students) who are taking a gap year or looking to do something different for a few months. Experience closer contact with a local neighbourhood in Australia! With the working holiday in Australia programme vacationers can stay for an extended period by supplementing their travel funds through incidental employment. A working holiday visa allows you to stay and work in Australia for 12 months, although you may not work for more than 3 months with any one employer.